The Remedy chronicles the exciting story of two historic figures on an unlikely collision course, meeting in one of the greatest showdowns in science, as Robert Koch delivered the antidote the world clamored for: a remedy for tuberculosis. Go inside the story of The Remedy with this series of graphic novel excerpts. The book traces the career of Koch, a provincial German doctor who rose, through sheer determination and methodical diligence, to be the greatest scientist of the day. Koch was a self-made microbiologist who, thanks to his exacting personality, built a body of evidence that convinced the world of the germ theory of disease: that there is such a thing as germs, and that they are the cause of infectious disease—the very diseases that plagued mankind in the 19th century, tuberculosis worst among them. The book also follows the unlikely rise of another provincial doctor – Arthur Conan Doyle. Conan Doyle, of course, is known today as the author of the Sherlock Holmes stories, but he was trained as a physician. 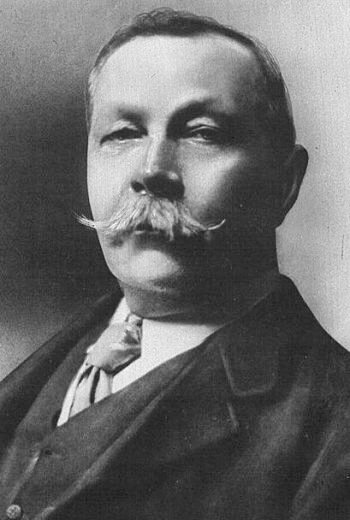 The book follows Conan Doyle’s early years as he struggled, equally, to build a career as a physician and a reputation as an author. And it investigates how he diligently followed the changes to the medical profession, particularly germ theory. From his small office in southern England, Conan Doyle admired the work of Robert Koch in Berlin, and eventually adapted his scientific methods into his stories: most prominently, a new detective story featuring a character named Sherlock Holmes. A riveting historical mystery with implications for science and innovation today, The Remedy is available from Gotham Books. Order your copy. Thomas will visit his alma mater, Bates College, to deliver a lecture on Monday, April 28. A book signing will follow the talk. The next evening, on April 29, Thomas will appear with Bates President Clayton Spencer at a college event in Chicago, where the pair will discuss technology-driven innovations in higher education. Medical illustration of tuberculosis from Centers for Disease Control and Prevention.